First, thank you for all the nice comments on my Country Cottage Christmas Part One post. (Still tweaking and will be sharing Part Two soon.) I'm so blessed to have all of you visit regularly and encourage me with your kind comments. Yesterday I went to the Christmas Tea and Bazaar just across the street from our cottage. It was so much fun to see all the festive tables, eat some chili (pass on the cookies, though they were really tempting), and chat with neighbors and friends. One of my quilting friends, Marietta, had a charming array of handmade items for sale, and I bought a few of them. Another friend, Peggy, had an Avon table set up, where I purchased a few stocking stuffers. As I gathered up my things I thought of my bloggy cottage friends and figured now would be a perfect time to do a giveaway in appreciation for all the love you direct my way. 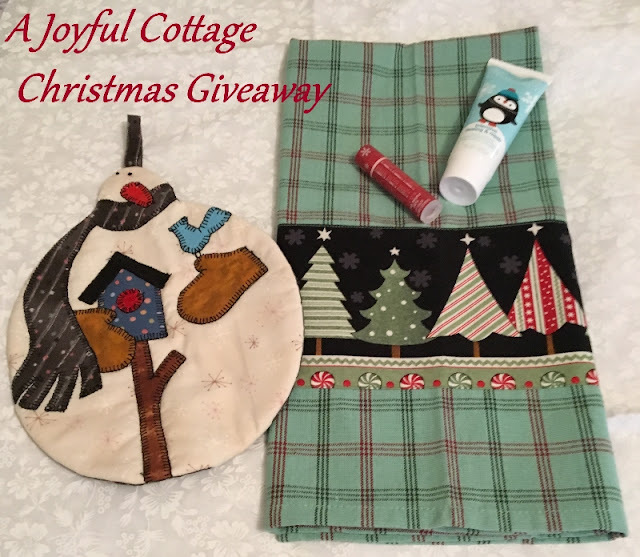 My giveaway includes a snowman potholder and Christmas tree tea towel (made by Marietta), Avon Lip Balm and a tube of Moisture Therapy Intensive Healing and Repair (both are perfect to tuck into your handbag). All you have to do to enter the giveaway is leave me a comment saying you want to participate. That's it. Done. You don't have to be a blogger to participate, but I will need your email address to contact you should you be the winner. I'm sorry, but this giveaway is open to U.S. residents only due to shipping costs. I'll announce the winner right here on Friday, December 11 at 8:00 AM Pacific Time. It's wonderful that you have activities so close. I would be honored to enter. So very cute!! I'd love to enter this giveaway!! Where do I sign up? Christmas will come early for someone. Now the Christmas Spirit is in motion! Thank you for the opportunity to win these festive items. Cute items. Thanks for the chance to win your giveaway! What a lovely give away, please enter my name. Love everything Christmas! Thanks so much for sharing! Merry Christmas . . . Thanks so much for the opportunity to win these lovely items! Very cute items, and who doesn't love Avon. You have some talented sewing friends. Thanks for the chance for the giveaway. What fun to have a Christmas Tea and Bazaar just across the street from you! I'd love to be added to the give-away. The potholder is darling and the Christmas tea towel would add a touch of Christmas cheer to any kitchen. Hello Nancy! Sounds like a FUN WEEKEND! How great that right across the street from you was this wonderful gathering! Put me into the giveaway - looks like WONDERFUL stuff! Much love! Such a thoughtful and generous giveaway! 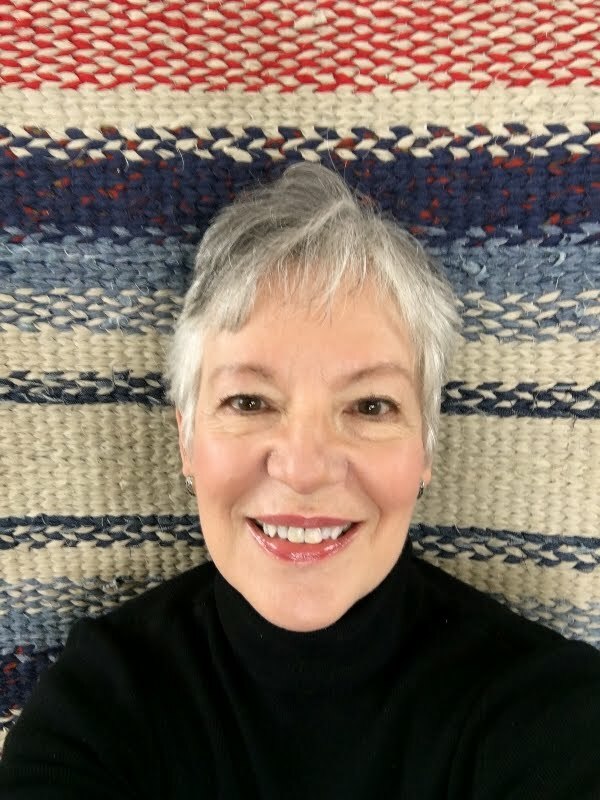 Love visiting and reading your posts, please add me to your list! Love reading your blog. The give away items are so cute! Always need lip balm and lotion at this time of year too. Me email is teresa50.tf@gmail.com have a wonderful holiday season. Love your cottage! Looking forward to more photos of your Christmasy cottage. Thank you for offering us a giveaway--please consider this my entry. I love, Love, LOVE your blog---your gentle spirit whispers through whatever topic you address. I delight in seeing the homes of others---especially the cottages where space is a factor and creativity is not only beautiful but useful and necessary. 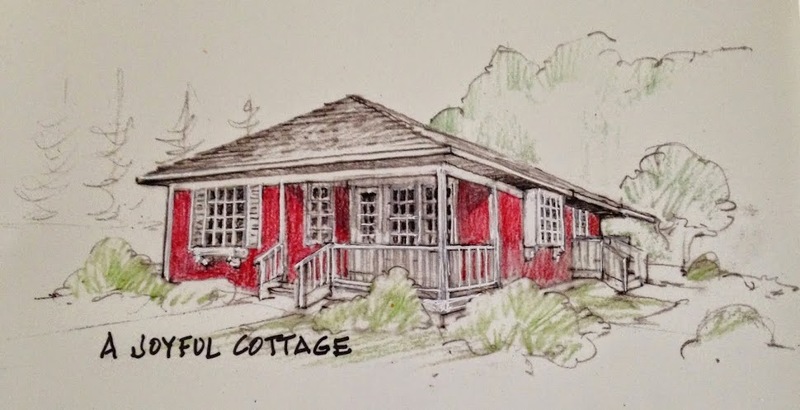 It has been a Joy to see your dream cottage come to reality. Thank you for sharing each facet of your progress. It was sad when I read of the loss of your first husband,yet to see how the LORD has turned the ashes into a beautiful life of Hope and purpose. Fun giveaway! Please enter my name. I thought I had posted, but don't see it. If I did, please feel free to delete this one. As I (thought) I had said, I love all things Christmas... The tea towel is adorable, so of course I want to be a part of the giveaway!! I hope y'all have the merriest of Christmases..
Love the evolving story of your cottage - I always look forward to receiving new posts from you. What a sweet give away. Count me in. Thank you for the give away. I would love to win this. Cute snowman and tea towel! Who couldn't use some extra care on the lips and hands this winter? I'm in ! I would love to win...I especially love the beautiful tea towel. I've only been to a handmade Christmas market a few times; I am jealous that you have one so close by! I enjoy your blog and think you are very generous to have this giveaway at this time of year. My family doesn't do a big "family" Christmas event, so I would especially appreciate these lovely items. My holiday won't include gifts and food. It will be a time for me to help my father. When he approached his home Friday afternoon, he discovered fire trucks in the street and in the yard. Between the fire, water and smoke damage, it will probably be a total loss. I will be spending my free time this month trying to salvage any family memories that aren't too damaged. I ask you and your readers to keep him in your thoughts and prayers. And to hug your loved one more time, to express your love to them one more more time before departing from your holiday festivities. How sweet of you Nancy . . .
A Christmas giveaway sounds like something you would do . . .
Love the tea towel . . . and I would love my name included . . . Happy December Days . . . I love anything with snowmen. Please enter me I would love to win. I would love to participate! I enjoy reading your blog. I'm not a blogger so here's my email address: l_t_richardson@hotmail.com.